A delegation of Monaco representatives is touring across Australia this week promoting the Principality’s green assets at a series of hosted industry events in Sydney and Melbourne. 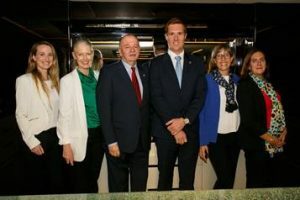 Lead by Monaco Government Tourist Bureau Australia and New Zealand, the delegation is joined by representatives of Monte-Carlo’s largest hospitality group, the Monte-Carlo Société des Bains de Mer (Monte-Carlo SBM). 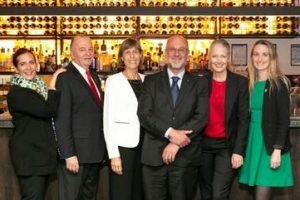 Visit Monaco took this Road Show as an opportunity to update Australian key industry players on the latest news and developments happening in the glamorous Principality with a focus on its inspiring sustainability initatives. In true Monaco glamour, the week kicked off with a Soirrée on Sydney Harbour hosting industry partners aboard luxury yacht Ghost II. In Melbourne, guests were treated to a delicous sit-down dinner at Melbourne’s famous Philippe restaruant. Special guest of the night was Australia’s leading conservationist Professor Tim Flannery, a Foundation Board Member of the Prince Albert II Foundation that is dedicated to the promotion of sustainable development on a global scale. At both events, guests got to sample l’Orangerie, an authentic orange liquor from Monaco, made from the left-over orange rinds of local restaurants and hotels. Monte-Carlo SBM, who, earlier this year, unveiled the ultra-luxurious Princess Grace Suite at Hotel de Paris, updated the industry on the latest news happening in its portfolio of properties including the 2019 relaunch of the iconic 5-star Hotel de Paris after a 4-year multi-million-dollar renovation and the opening of One Monte-Carlo, a brand-new Business Tourism Hub right on Casino square, scheduled to launch in 2019. Visit Monaco recently launched a ‘Green is the New Glam’ Campaign driven by the Principality’s mission to be carbon neutral by 2050 and promoting Monaco as a destination that is as environmentally conscious as it is glamorous. Visit Monaco’s tourism partners are fully invested in the drive towards sustainability, from the organic, Michelin-starred Blue Bay restaurant at the Monte-Carlo Bay hotel which grows much of its produce in its onsite kitchen garden run by urban agriculturalists Terre de Monaco to the iconic Fairmont Monte-Carlo whose entire central heating and air conditioning system is powered by underground heat pumps.